The Swiss Watch Wryst Isle of Man TT 2016 is now also available with an all-black quality strap for a more casual look. Initially, Swiss watch brand Wryst had planned to produce only 75pcs for this exclusive special edition celebrating the greatest show on earth. Released for pre-orders as early as June 2015, later that year in September we decided to increase the production to 99pcs. Following low stocks and availability, in March 2016 it has been decided to increase again the production to a total of 130pcs. 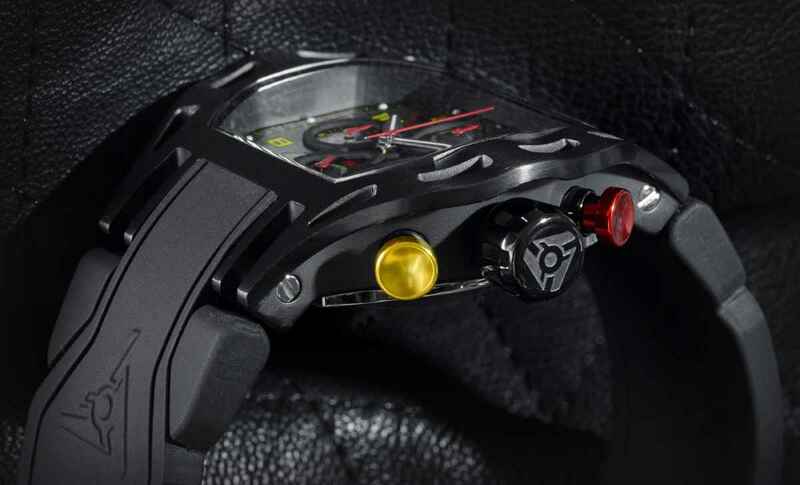 It was not conceivable to have sold-out the Wryst TT timepieces during the Isle of Man 2016 Tourist Trophy. At the time of this announcement only 2 Wryst TT watches are available - With the 2016 TT races season started we would highly recommend to purchase your exclusive Wryst Isle of Man TT Special Edition sport watch right away. Only a dozen more watches will be re-stocked during the month of June before the reference is discontinued. 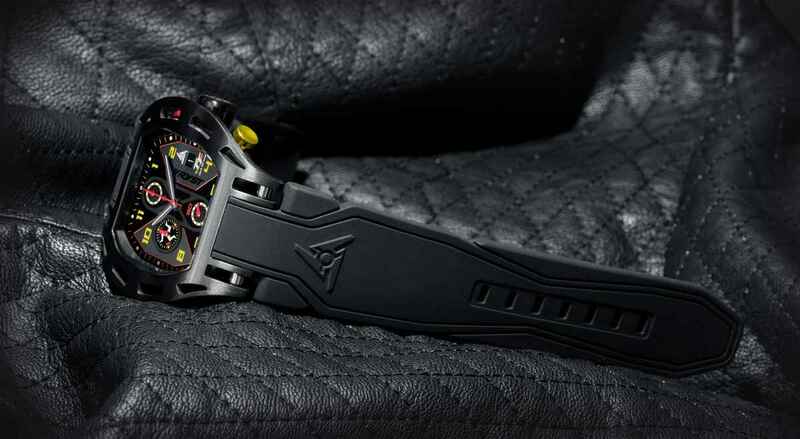 How Special is the Swiss Watch Wryst Isle of Man TT 2016? 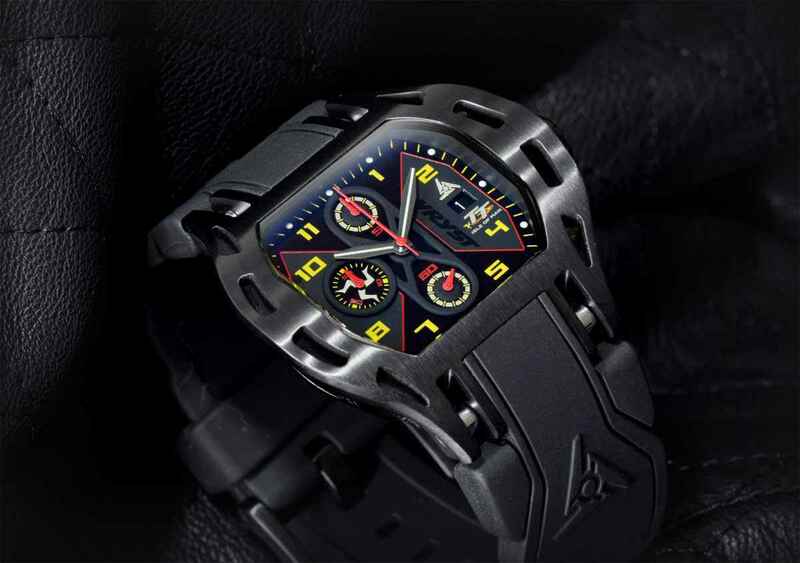 Wryst use a revolutionary scratch-resistant black DLC coating on the case, the crown and the square buckle which is used in the professional motorsport industry for engines parts. This protection will guarantee the timepieces to have a lifetime of up to 80 years compare to poor quality black PDV used by high-end luxury Swiss watch brands which can be scratched on day 1. 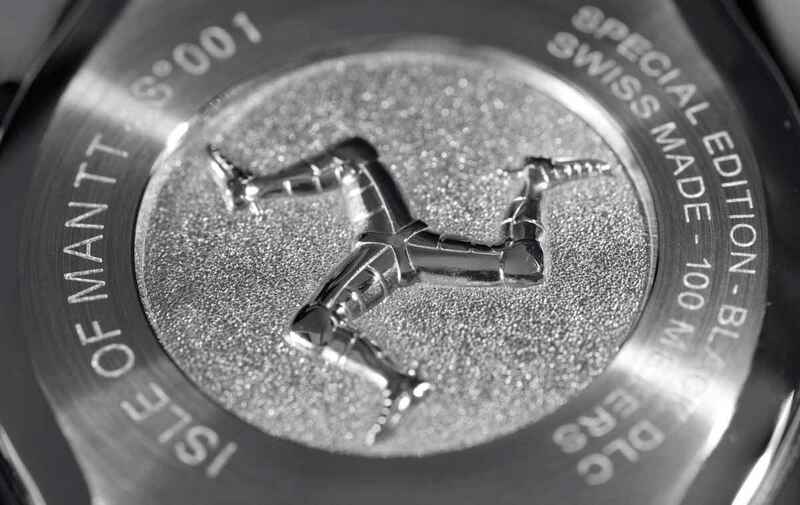 The watch case back reveal the 3D engraved "Isle of Man Coat of arms of the Isle of Man" as well as the inscriptions "Isle of Man TT" with serial number and "Special Edition" - "Black DLC" - Swiss Made" - "100 meters". The dial also has on the left a silver print of the Isle of Man triskelion on the chronograph minute dial. A print of the Isle of Man TT logo is also present under the date on the right. 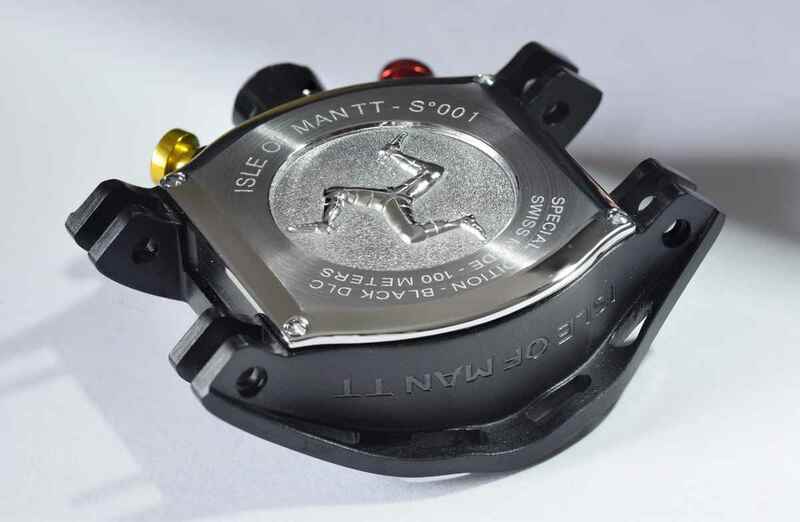 Finally, the sport watch case side of this special edition is engraved on the left side "ISLE OF MAN TT". Some motorsport events truly are exceptional but nothing compares to the TT races. Since 1911, the race is been held on the 37 miles Snaefell Mountain Course which consists of a number of public roads in the Isle of Man closed for racing. Every year and for a few weeks only, the most renowned superbike riders, and sometimes Formula 1 drivers, are gathering in a frenetic atmosphere to battle the fastest lap with speeds of over 200mph on a road track. I like your watch ! Love your business model ! I will start saving for a TT Watch now!Have a great summer !